Vernon Parish is committed to providing a high-quality curriculum that is rigorous, relevant, and addresses the Louisiana Standards. Our goal is to ensure learning through effective instruction in each classroom. The Louisiana Standards are being used in every grade level in English Language Arts, mathematics, science, and social studies. Educators participate in continuous professional development around research-based best instructional practices. Our motto, “Every Child, Every Day, Whatever it Takes, “ keeps the student at the center of the educational process. 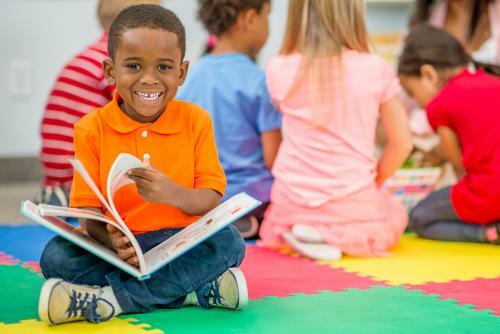 This journey begins with our early childhood programs, Head-start and LA-4, where developmentally appropriate learning activities take place in an environment designed to address their social, emotional, physical, intellectual, and creative growth. As students progress through the elementary grades, literacy and numeracy are the emphasis of instruction across the curriculum. Students learn how to “think” and apply skills in all content areas at all grade levels. Additional opportunities in middle and high school are offered through gifted, honors, advanced placed, dual enrollment, and jumpstart programs. In addition to the core curriculum, Vernon Parish schools offer a variety of electives, enrichments, and extracurricular activities. Needs of exceptional children are served according to federal, state and local guidelines. These innovative programs help to prepare our graduates to continue their education and/or enter the workforce.